Explanation: This sprawling dark marking is Jupiter's latest impact scar, a debris plume created as a small asteroid or comet disintegrated after plunging into the gas giant's atmosphere. Located in Jupiter's south polar region, the new feature was discovered by Australian amateur astronomer Anthony Wesley on July 19. 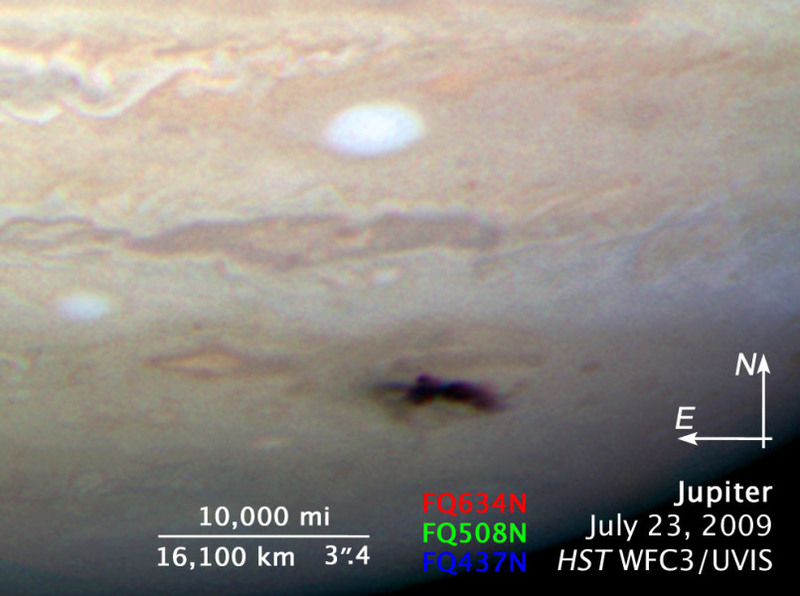 On July 23rd Wesley's discovery was followed up by the Hubble Space Telescope with its newly installed Wide Field Camera 3, creating this sharpest view of the evolving debris plume. Estimates indicate that the impacting object itself was several hundred meters across. 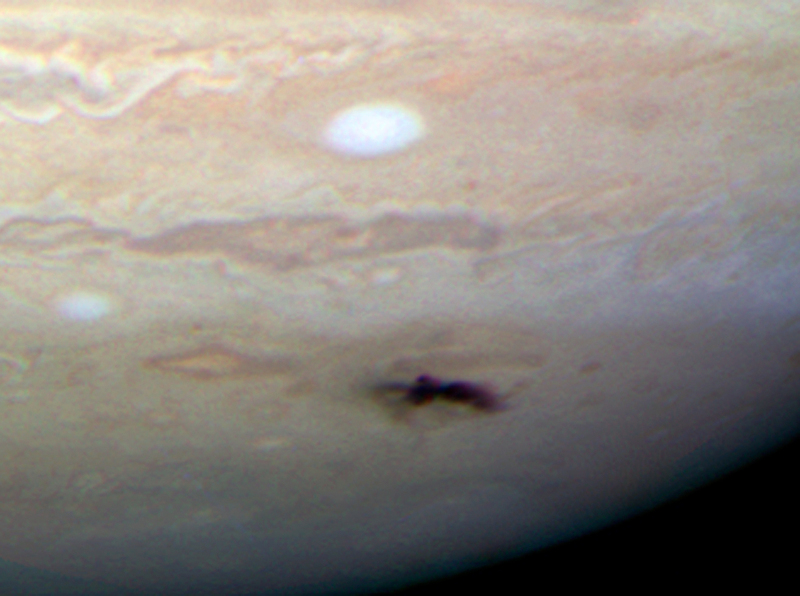 Similar impact markings were created when pieces of Comet Shoemaker-Levy 9 slammed into Jupiter's cloud bands in July of 1994.